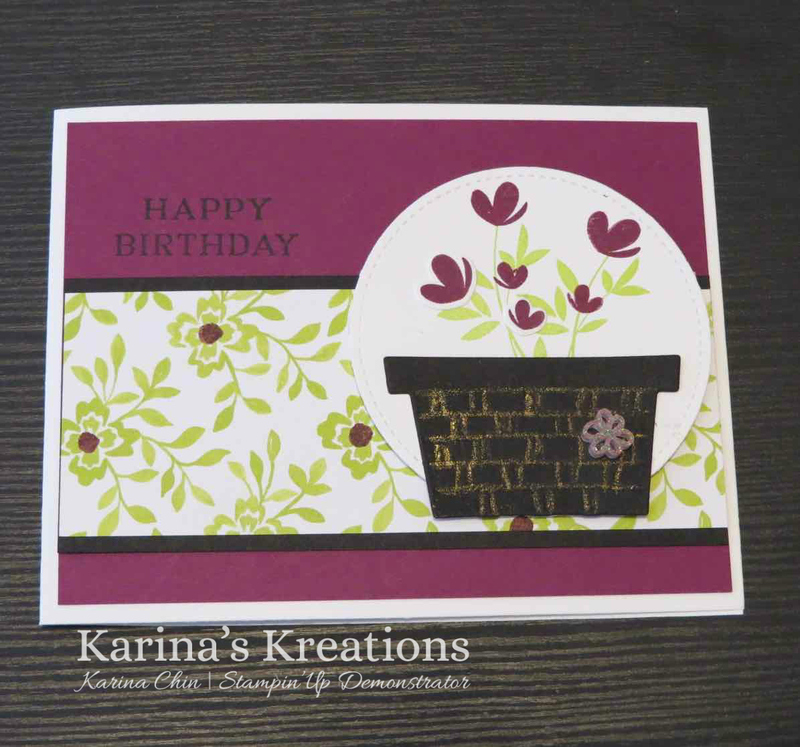 Karina's Kreations: Retiring Picnic with You Bundle! Retiring Picnic with You Bundle! The Picnic for You bundle will be Retiring May 31. I love all the little fun playful images with this set and the die that cuts the grass. I'll share a more detailed card with all these little dies tomorrow. I designed my card around the basket. Did you know you can emboss with the Wink of Stella Glitter pen? I went over the lines of the basket with my pen, sprinkled on gold embossing powder and set it with the heat tool. 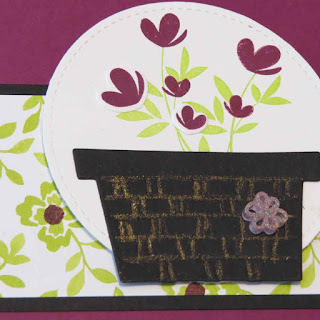 My designer paper needed some Rich Razzleberry color in it so I used the eraser from the pencil, dipped in the ink pad and added it to the center of the flowers. To place an online order, please click on a picture below.